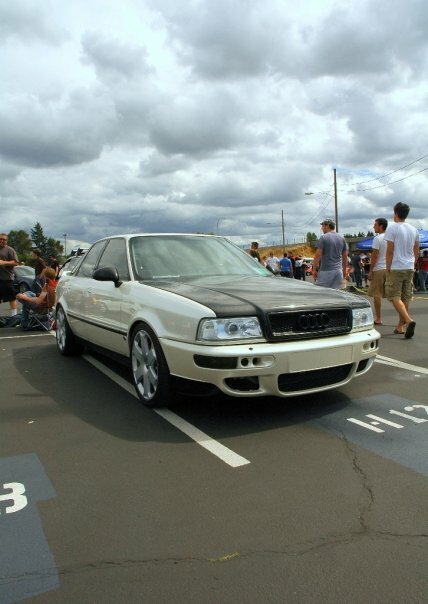 I'm looking to add a look to my soon-to-be audi. I'm currently looking for a bit of help in finding some parts but I'm not quite too sure what I need. I want either 6k or 8k HID's but I'm not quite sure what size I would need. I need a short-ram intake. I'm looking for half quality, half performance. I need to think of an idea to straight pipe a good quality sounding exhaust; something to wake the neighbors up at night with. I was considering smoking the taillights but it would take away from the look of the car. Anyway, I'm new to the forums and I'm not sure if this is in the right spot but I'd like some help if anyone has any ideas. Thanks. I was flipping around and saw this ... nice ride. Last edited by TrickS4; 09-02-2010 at 09:48 AM.